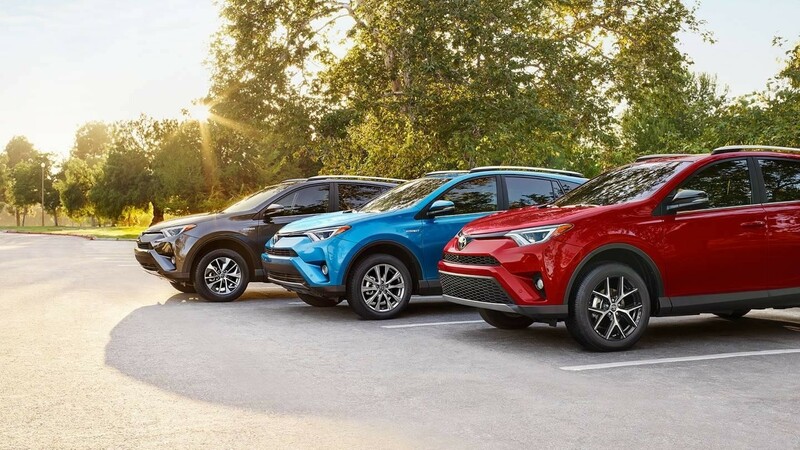 Since it first hit the market over two decades ago, the Toyota RAV4 has been bringing admirable performance and utility to families all throughout Pooler and Bluffton. Today, the 2017 Toyota RAV4 is on sale at Savannah Toyota, and it’s bringing so many more exciting features to the mix for folks in the Lowcountry. Read some of the impressive reviews this five-passenger crossover has been receiving lately, and take a closer look at each of the trim levels on offer for 2017. Even the base RAV4 trim comes standard with Toyota Safety Sense P (TSS-P), as well as a 6.1-inch Entune™ touchscreen with an integrated backup camera display and soft-touch cabin materials. Step up to the XLE trim, and you’ll get standard dual-zone automatic climate control, as well as access to available features like Entune™ Premium Audio with Navigation and App Suite and a Blind Spot Monitor with Rear Cross-Traffic Alert. The sporty SE trim comes with a sport suspension, paddle shifters, and interior features like a unique sport shift lever, floor mats, and doorsill protectors. The second highest RAV4 trim sits atop 18-inch SuperChrome alloy wheels and brings you the HomeLink® system, as well as an available JBL® sound system. No matter which trim level you go with, you’ll get a standard 2.5L four-cylinder engine that produces 176 hp and 172 lb-ft of torque. Inside the cabin, you’ll enjoy all the utility you’d expect from an SUV, including spacious seating for up to five adults, a total interior volume of 140.3 cubic feet, a dedicated cargo area of 38.4 cubic feet, and a max cargo volume of 73.4 cubic feet. Plus, this year’s RAV4 is also offered with an all-new Platinum trim, which comes with a Bird’s Eye View Camera, platinum doorsill protectors, a hands-free power liftgate, and striking full-body color exterior. Come browse the entire Toyota RAV4 trim lineup here at Savannah Toyota. Pooler and Bluffton drivers can easily find us at 11101 Abercorn Street in Savannah, GA, where our doors are open Monday through Saturday. You can also reach us online or by phone at (855) 411-6139 for more information.